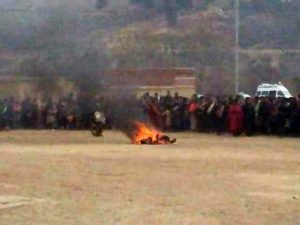 Info: Tsesung Kyab set fire to himself on February 25 in front of the main temple of Shitsang Gonsar monastery in Luchu. 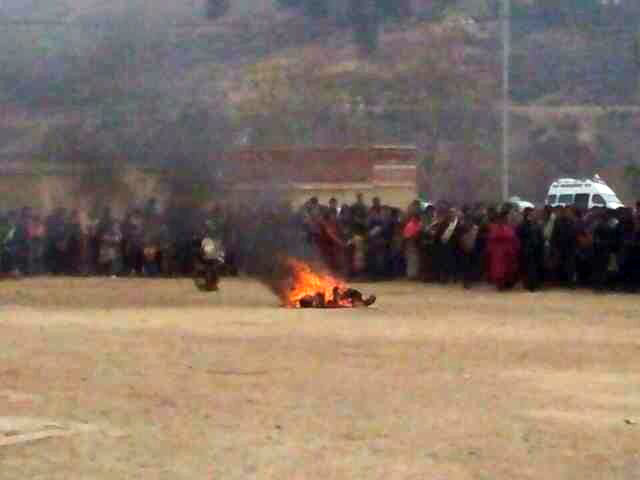 Harrowing images received from inside Tibet today depict Tsesung Kyab ablaze outside the temple as pilgrims look on. 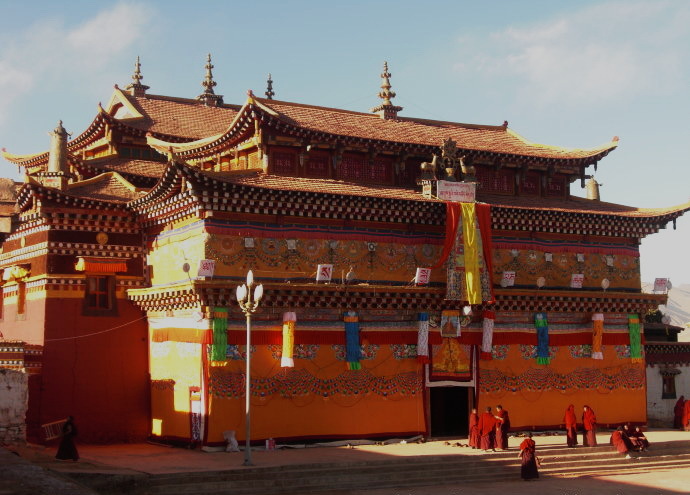 Many Tibetans were at the monastery for a prayer ceremony and ritual in which monks carry the Buddha's statue and circumambulate the monastery. 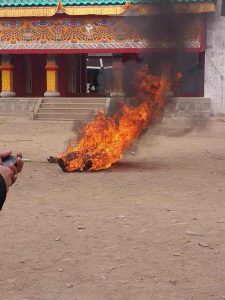 The images do not depict police attempting to extinguish the flames although, according to Tibetan exile sources, there was a police presence at the monastery. 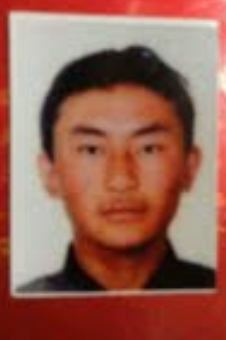 According to the same sources, his body was taken to his home in Choekhor village for prayers.